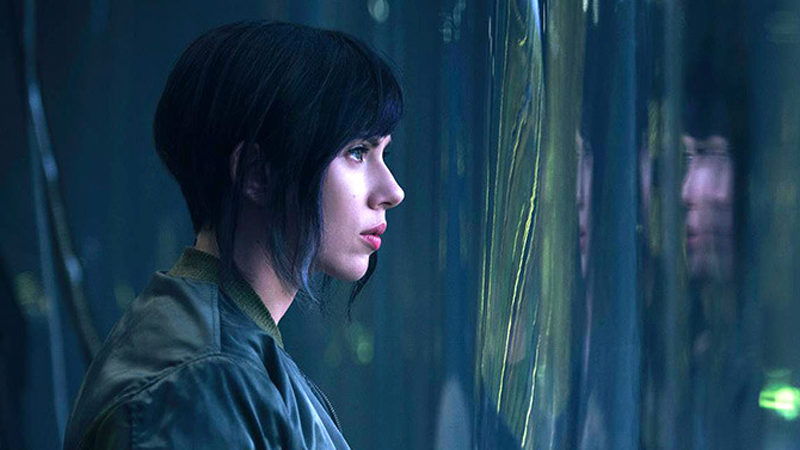 The Western adaptation of the iconic cyberpunk manga and anime series Ghost in the Shell has entered production—and with that news, we have our first look at Scarlett Johansson in the lead role as Major Motoko Kusanagi. The star of Masamune Shirow’s smash hit manga—translated into an iconic animated series by Production I.G. in serveral series and OVAs over the past 20 years—Kusanagi is the cybernetically-enhanced head of counter-terrorist organization Public Security Section 9, operating in a dystopic 21st century Japan. It still bothers us a lot that this role isn’t being played by an Asian actor—but at least the the shot released of Johansson captures the vibe of Shirow’s dark world pretty decently. Hey the ethnicity of the lead character doesn’t matter as long as they got the hairstyle right, right? Ugh. Directed by Snow White and the Huntsman’s Rupert Sanders, Ghost in the Shell is expected to release on March 31st, 2017.